Administration of LY2109761 partially inhibits mammary epithelial regression as measured by whole mount Carmine Red staining (A) and quantification by qRT-PCR of milk proteins α-lactalbumin (LALBA), whey-acidic protein (WAP) and β-casein (CSN2) in purified mammary epithelial cells (B). 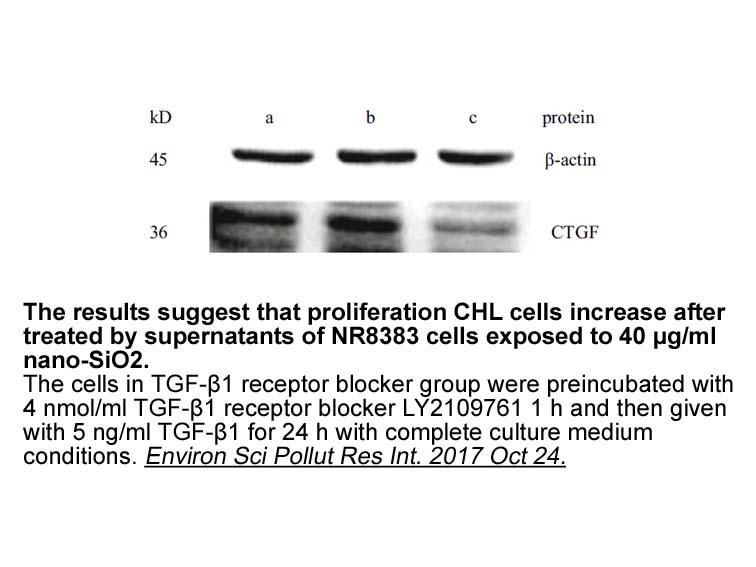 Western blot showing increased protein levels of CDC25A in mammary epithelial cells treated with LY2109761 (C). 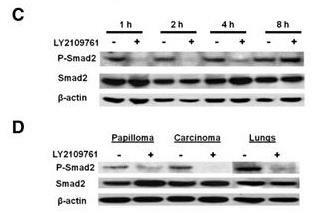 C:inhibition of P-Smad2 levels by LY2109761 was determined by Western blot analysis of lung tissue from mice after a single oral dose of 100mg/kg LY2109761.D:tumor-bearing mice that had been subjected to thrice daily oral dosing with LY2109761 at 100mg/mL for 10 days(short term) were administered an additional oral bolus of 100mg/kg LY2109761 and protein lysates from papilloma,carcinoma,and lung were isolated 2 hours later.Western blot analysis was carried out to detect P-Smad2,total Smad2,and b -actin levels C,inhibition of P-Smad2 levels by LY2109761 was determined by Western blot analysis of lung. Wan X, Li Z G, Yingling J M, et al. Effect of transforming growth factor beta (TGF-β) receptor I kinase inhibitor on prostate cancer bone growth[J]. Bone, 2012, 50(3): 695-703. Melisi D, Ishiyama S, Sclabas GM et al. 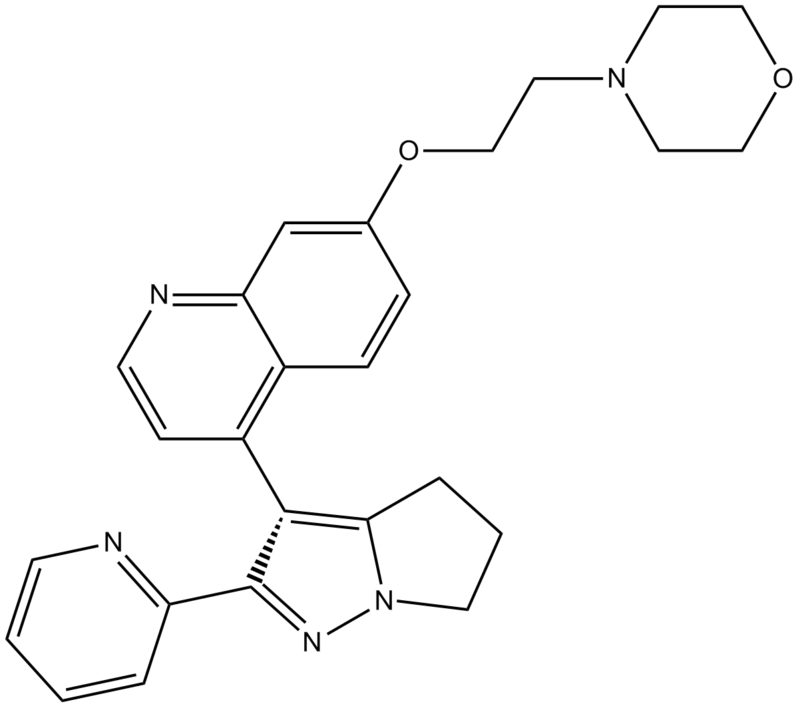 LY2109761, a novel transforming growth factor beta receptor type I and type II dual inhibitor, as a therapeutic approach to suppressing pancreatic cancer metastasis. Mol Cancer Ther 2008; 7: 829-840. Li HY, McMillen WT, Heap CR et al. 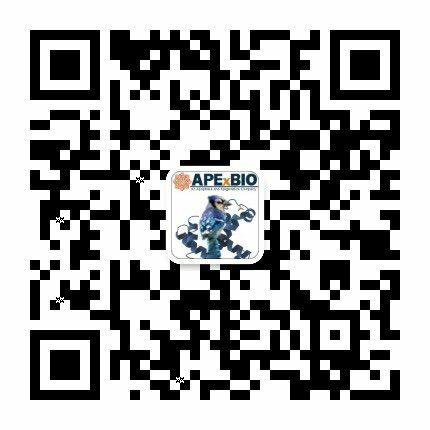 Optimization of a dihydropyrrolopyrazole series of transforming growth factor-beta type I receptor kinase domain inhibitors: discovery of an orally bioavailable transforming growth factor-beta receptor type I inhibitor as antitumor agent. J Med Chem 2008; 51: 2302-2306. Xu Y, Tabe Y, Jin L et al. TGF-beta receptor kinase inhibitor LY2109761 reverses the anti-apoptotic effects of TGF-beta1 in myelo-monocytic leukaemic cells co-cultured with stromal cells. Br J Haematol 2008; 142: 192-201. Zhang M, Kleber S, Rohrich M et al. 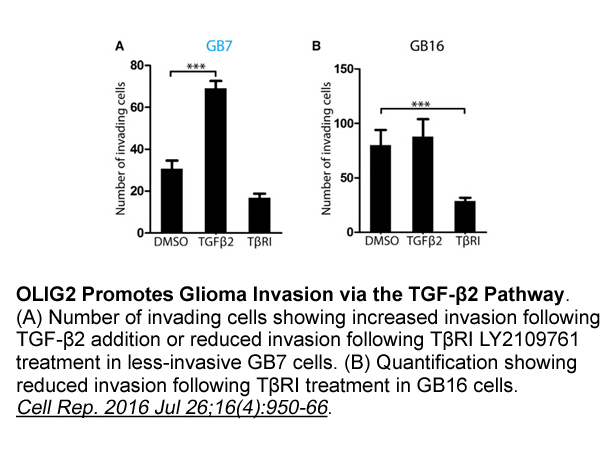 Blockade of TGF-beta signaling by the TGFbetaR-I kinase inhibitor LY2109761 enhances radiation response and prolongs survival in glioblastoma. Cancer Res 2011; 71: 7155-7167. Flechsig P, Dadrich M, Bickelhaupt S et al. 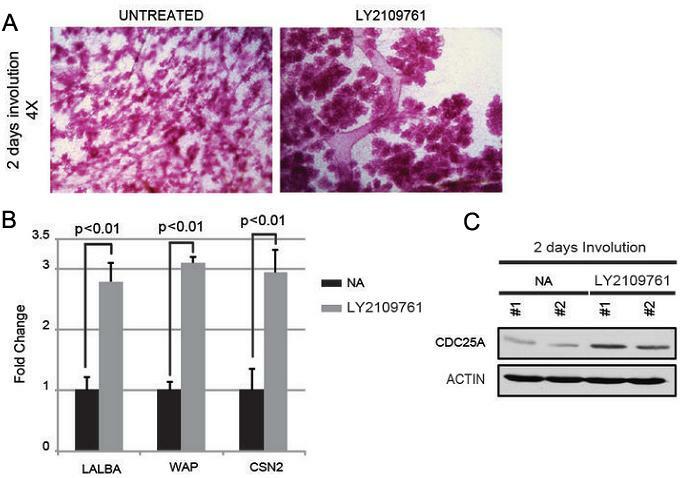 LY2109761 attenuates radiation-induced pulmonary murine fibrosis via reversal of TGF-beta and BMP-associated proinflammatory and proangiogenic signals. Clin Cancer Res 2012; 18: 3616-3627.